WASHINGTON -- As a 6-year-old, Cristina Jiménez Moreta dreamed of being a dancer. 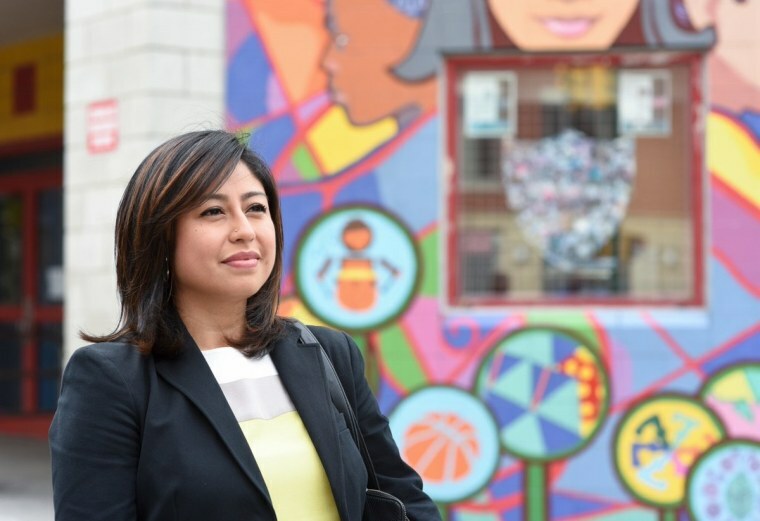 She became a different kind of Dreamer and a fighter for the legal status for immigrants. Now she's a "genius". Jiménez, 33, executive director and co-founder of United We Dream – the country’s largest immigrant youth-led organization, is one of the 2017 John T. and Catherine Foundation Genius grant award winners. The award recognizes how Jiménez took the status of her and her family when they arrived 20 years ago without legal permission from Ecuador - undocumented - and turned it into a movement. “Growing up undocumented you live with the fear of being deported. My hope is that this award inspires people to take a stand," Jiménez told NBC News. The group was instrumental in pressuring the Obama administration in 2012 to created the Deferred Action for Childhood Arrivals, DACA, program that now is scheduled to come to an end in March under order from President Donald Trump. United We Dream, largely led by young Latinos, and its activism also have served to rally Latinos in the country and increase their political engagement. Getting the call last month informing her she was one of the Genius fellows was humbling, Jiménez told NBC News. “I immediately thought about my family and the sacrifice and their courage to leave everything behind to come to this country seeking a better life," Jiménez said. "To me, this award recognizes their strength, their resilience and makes me completely thankful to my parents, and I thought about all those undocumented and immigrant communities and families that like my parents have struggled so much and have make this country their home," she said. In an interview posted on the United We Dream website, Jiménez said she wanted to be a professional dancer when she was 6. She said that she became involved in the immigration movement when as an honors high school graduate she could not go to college. Jiménez said her plans for the award money – $625,000 paid in installments over five years – is to continue to her activism, including lobbying for legislation to protect the more than 800,000 “DREAMers” and other DACA recipients from deportation. She said she plans to continue battling what she said is “the most aggressive immigration enforcement climate that we’ve ever been in." Trump recently sent to Congress the outline of his immigration plan, which calls for increasing detention and deportation of unaccompanied minors and undocumented workers, restricting legal immigration to the United States and paying for construction of a border wall that Trump has long insisted would be paid for by Mexico.